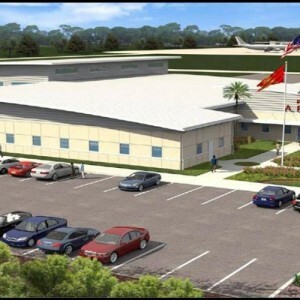 This project is construction of an approximately 31,000 SF Aircraft Rescue and Fire Fighting Facility building, including all necessary site work. 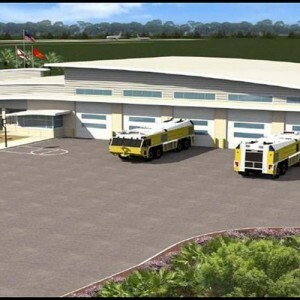 Purchase and installation of specialty firefighting equipment is also included in this project. This project is designed to achieve a LEED Silver Certification. Also included in this project is the construction of a 4,800 LF utility corridor to accommodate electrical and communication cables along with water and sanitary sewer services to the building. Security fencing and access road improvements are also included.